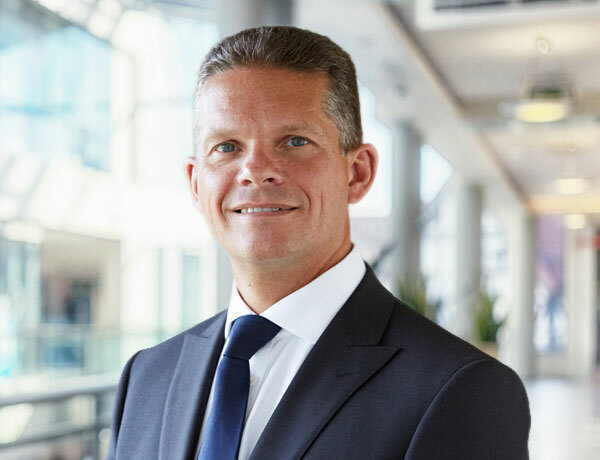 Legal & General America (LGA), a top five U.S. life insurer*, today announced the appointment of Mark Holweger as President and CEO of its insurance division, which includes operating companies Banner Life Insurance Company and William Penn Life Insurance Company of New York. Holweger previously served as Executive Vice President, Distribution and Marketing for LGA, which he joined earlier this year after transitioning from Legal & General Insurance in the UK. In his new role, he will focus on continued business growth with an emphasis on investing in LGA's distribution channels by building propositions that address key partner and customer needs in an ever-evolving digital world. I look forward to building upon the team's accomplishments to date and to further solidifying our place as a digital innovator while investing in our distribution to bring about solutions that meet our customers where they are. "LGA has experienced strong market growth by implementing changes that have allowed us to diversify the ways we are reaching consumers—delivering new digital solutions, as well as offering insightful information around financial wellness through our newly launched blog," Holweger said. "I look forward to building upon the team's accomplishments to date and to further solidifying our place as a digital innovator while investing in our distribution to bring about solutions that meet our customers where they are." As part of LGA's continued prioritization of tech-driven innovation, Holweger will join other industry thought leaders at InsureTech Connect—the world's largest insurtech event—on Oct. 2–3 to speak on a panel called "Can Insurance Be Bought Not Sold". Holweger, along with other industry executives will discuss what it takes from a product and organizational standpoint to shift how consumers think about insurance, allowing it to be bought rather than sold. The announcement of Holweger's new role comes shortly after LGA launched its consumer-facing blog covering timely life insurance, family, money, lifestyle and technology topics. The blog serves the specific needs of the U.S. insurance customer base, educating them on ways to succeed along their path toward financial fitness. Visit the blog at blog.lgamerica.com. Legal & General America (LGA) is part of the worldwide Legal & General Group. For nearly 70 years, the Legal & General America companies have been in the business of providing financial protection through life insurance for American families. The Legal & General America companies are Banner Life Insurance Company and William Penn Life Insurance Company of New York. With more than $53 billion in new coverage issued in 2017, LGA is ranked in the top five of U.S. life insurers and ended 2017 with in excess of $703 billion of coverage in force with 1.3 million U.S. customers. LGA shares Legal & General's independent financial strength ratings: A+ Superior from A. M. Best and AA- Very Strong from Standard and Poor's and Fitch.